I extensively researched the shapes, sizes and drinkability of many different wine glasses which lead me to these particular styles. 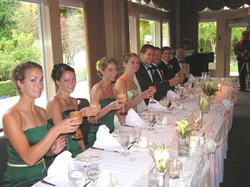 All are food safe and leak proof. 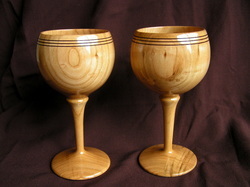 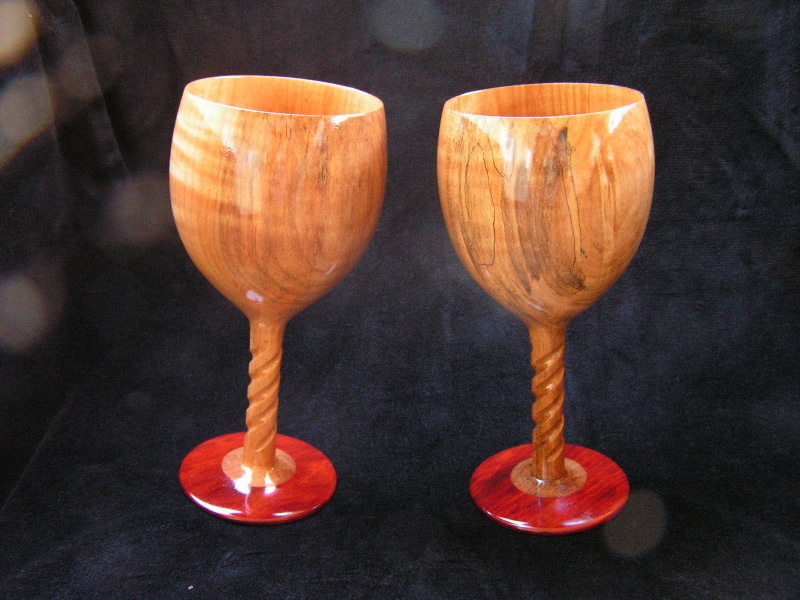 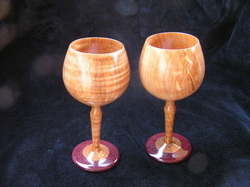 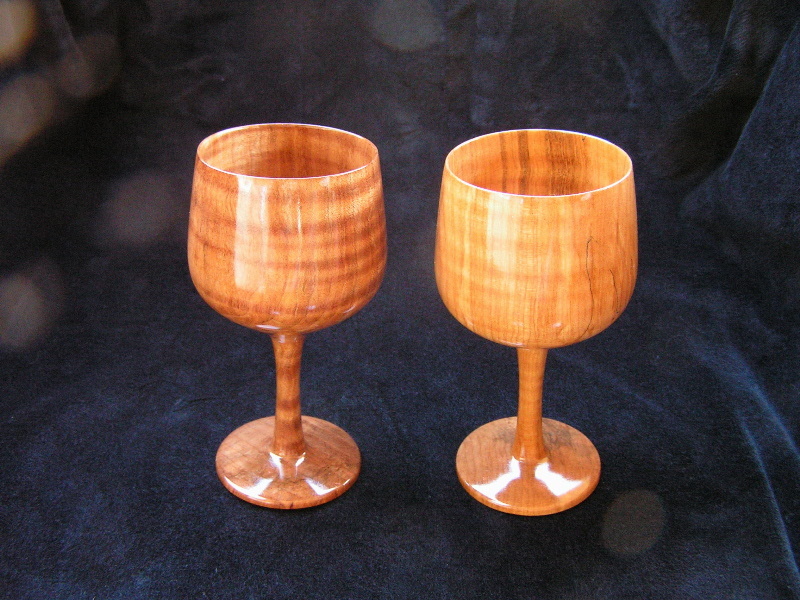 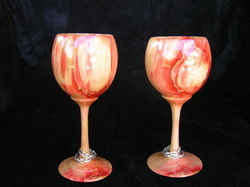 Goblets are custom made and sell for $75 to $150ea depending on complexity.